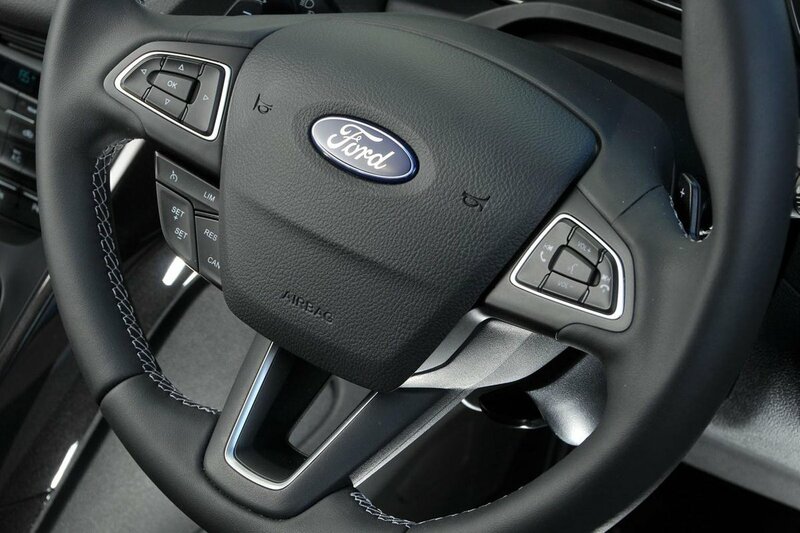 Ford Kuga Boot Space, Size, Seats | What Car? 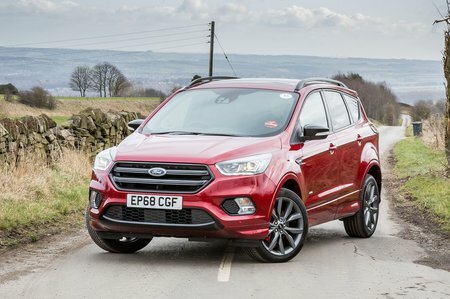 The Kuga is reasonably spacious in the front, although there are a couple of caveats. First, the curiously protuberant dashboard encloses your lower body quite closely and diminishes the feeling of space; secondly, versions equipped with a panoramic roof are a bit tight on head room. The central armrest has a deep cubbyhole beneath that will hold a 500ml bottle. This is also where you'll probably choose to stow your phone, because it’s where the USB sockets are located. You also get two cupholders in front of the gearlever, which are fine for normal-sized takeaway cups and 500ml bottles. The broad door pockets will swallow a bigger bottle and the glovebox is perfect for storing a bottle of de-icer and a scraper. 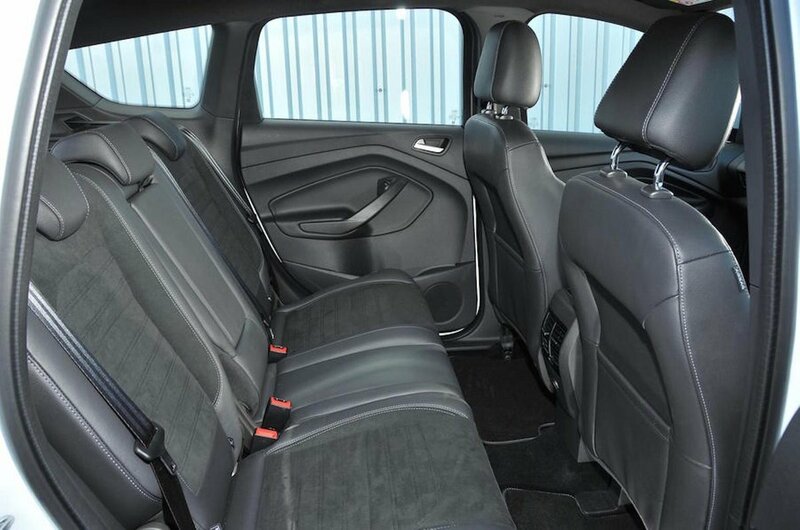 Two tall adults will find it okay for space in the rear of the Kuga. However, it’s narrower in the back than similarly sized rivals and there's far less leg and head room (the latter is poor with the panoramic sunroof fitted, so avoid that) than you'll find in the Honda CR-V or Skoda Kodiaq. In fact, rear space is more on a par with the Nissan Qashqai from the class below. All Kugas get map pockets on the back of the front seats, narrow door pockets and a 12V socket that sits above a fairly useless central cubbyhole that’s slightly too small to take a smartphone. Go for Titanium Edition trim or above and you'll get a rear central armrest. The 60/40 split-folding rear seats are easy enough to fold down from the side doors; you just pull a lever at the base of the seat and they collapse forward. It’s a shame that there are no handles to drop the seatbacks from inside the boot (these are offered in many rivals including the Honda CR-V) and there's no option to have more convenient 40/20/20 split-folding seats that are available with some of its rivals. The Kuga's rear seatbacks can at least be reclined, but they don't slide back and forth like they do in the 5008, Kodiaq and Volkswagen Tiguan. The front seat is manually adjustable and doesn't come with lumbar adjustment unless you order at least Titanium Edition trim. The Kuga’s 456-litre boot is smaller than most others in this class, but it is at least a neat rectangular shape, with a tall, broad opening and a low load lip to make it easy to haul big items in. Inside, you'll find two bag hooks and a 12V socket, and the tailgate is easy to shut because it has a chunky handle within easy reach. Go for Titanium Edition X, ST-Line X or Vignale trim and you'll get an electric tailgate as standard. Unfortunately, there’s no variable-height boot floor like there is in many rivals, including the Kodiaq. Once dropped, the rear seats lie flat, but they do leave a big step up in the floor of the extended load area – this is annoying when you're trying to slide bulky items in.